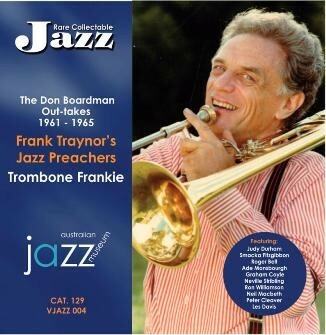 Trombonist Frank Traynor gained experience with Len Barnard and Frank Johnson before forming his own band, the Jazz Preachers (which included Roger Bell, Ade Monsbourgh and Graham Coyle) in 1958. The items on this CD are unissued takes from some of his commercial recordings. The 23 tracks include Charleston, Doctor Jazz, and Saturday Night Function.